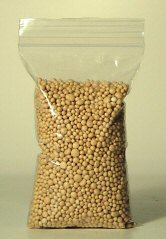 Just sprinkle 1/2 tablespoon of these slow release bonsai fertilizer pellets on top of the soil. Replace when no longer visible. Each time you water, the tree will receive nutrients. One application will last approximately 2 months.